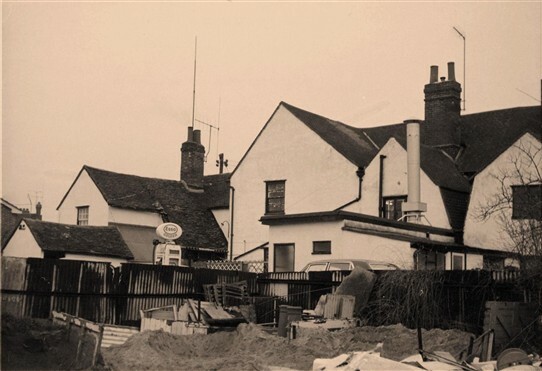 The rear of the row of shops on North Street are more easily seen now with the new shop developments, access road and parking areas, but in the 1960s the area was less readily accessible. The main building in the view is the rear of the Golden Lion public house with the taxi office building to the left with its own petrol pump. This page was added by Nathan Bell on 27/05/2012.